Be Sure, Be Accurate, Be Sucessful with Phelan Fit’s Online Training. If the gym times or location do not suit you, there is no need to miss out. I offer all my expertise and experience to you via my online training. 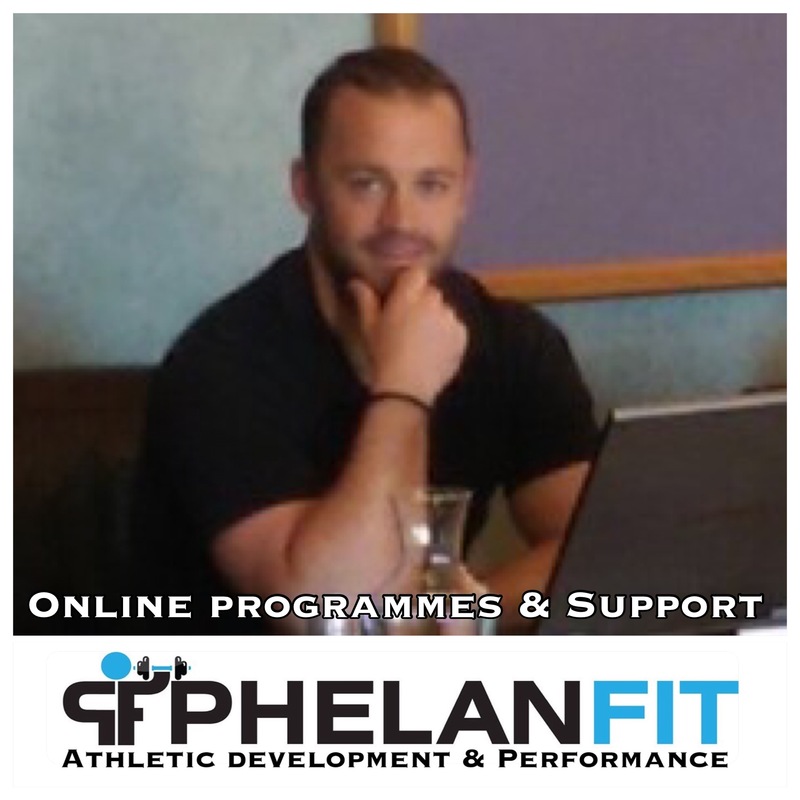 Get all your gym and sport specific conditioning programs delivered to you every month (4 week blocks) through easy to follow individual programs and instructional videos, complete monitoring of training load, sleep and welfare, as well as all the nutritional advice you need to perform to your maximum. If you do not play sport but are thinking of starting a new active lifestyle, then I would strongly urge you to consider the online training to make sure you are exercising correctly to achieve your goals and not following random unrelated videos on the net wondering if your doing the right thing. Be sure, be accurate, be successful.